So... the third update on preparation for the exhibition and happy to report that everything is going according to plan and is on schedule. - The advertisement has been published the Dorset Life Magazine. - The last few paintings have been signed! - Greeting cards have been wrapped. - Example prints have been ordered and are due to be delivered tomorrow. - All the boards are hung, and most of the lights are in place and hooked up to power. - Nikki, Rags and I have been hard at work starting the initial hanging of work on the walls. 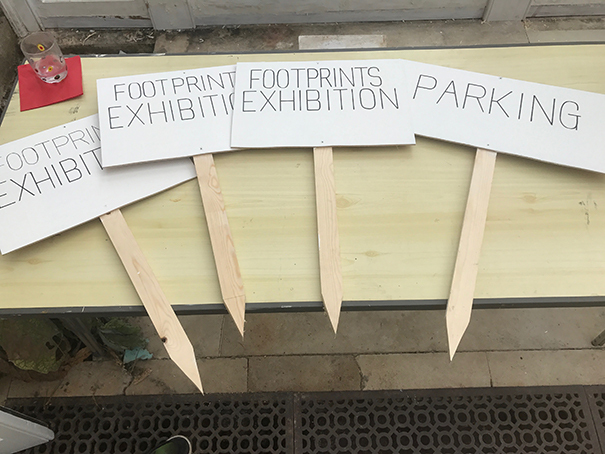 - Signs for the exhibition have been made. - Wine and glasses have been collected. Two more days to go, really looking forward to seeing those of you who are coming along and generally getting pretty excited about Friday evening and the weekend!